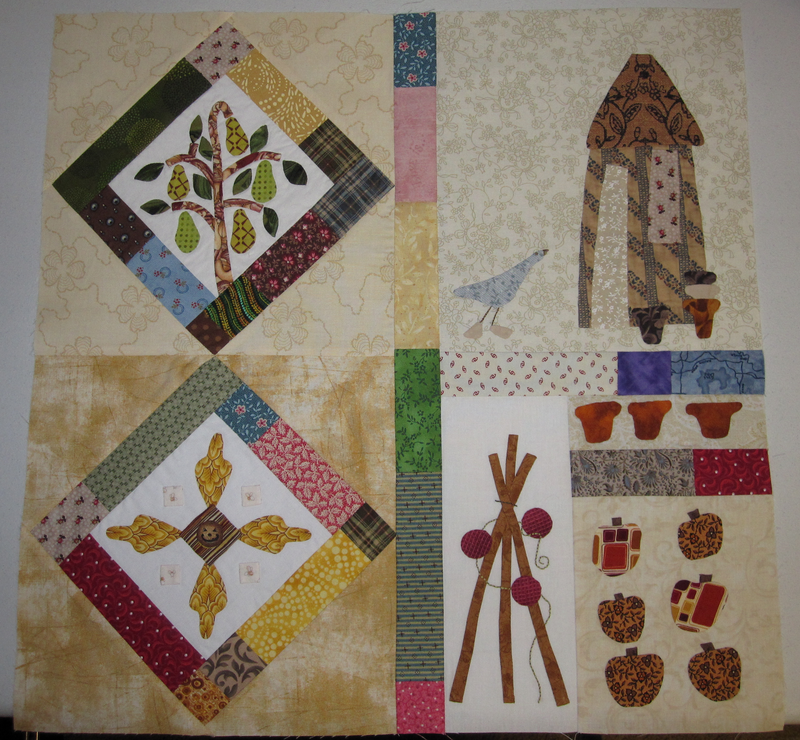 Bobbi Buller: Block "month" 7 done! WOOHOO! Got "month" 7 done. 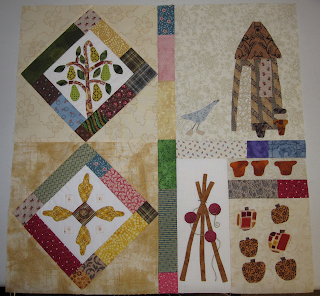 I cut all my pieces down to size and started piecing them together. The diamonds were a bit of a pain. I just could not get them down to the correct size but I finally got them squished in! Now that loud angry scream that I'm sure you all heard this weekend was me! As I was putting the block together I realized I cut my pumpkins 5 1/2" wide instead of 5 3/4" wide! So guess who spent Saturday night re-stitching the pumpkins onto a new background. Yep, that would be me. My little gray goose (mmmm vodka) was the first time I have ever used the wrong side of the fabric, on purpose! This made him lighter and much more goose like in my opinion. Lovely, Bobbi! I wish I were making such good progress with my Halloween quilt, but it's getting there...slowly...You sure were quiet at the stitch-in...I expect a lot more mouthing off next time~Hugs!